Alo Yoga is an American apparel company that specializes in yoga attire. There are many different brands that are focusing on this market but this store has prioritized quality over everything. From pants to jackets to accessories, there's everything you'll need. With Big Apple Buddy’s personal shopping service, you can now buy direct from the Alo Yoga online store anytime, anywhere. Start your morning yoga routine with the Airbrush Legging Chakra! These pants combine tech and fashion so you get all the innovative features to perfect your yoga poses while looking stylish. There's no stretch too complicated when it comes to testing the flexibility of these leggings. You'll be sure to stay comfortable even as you tackle on new and hard poses and explore yoga in a new way! 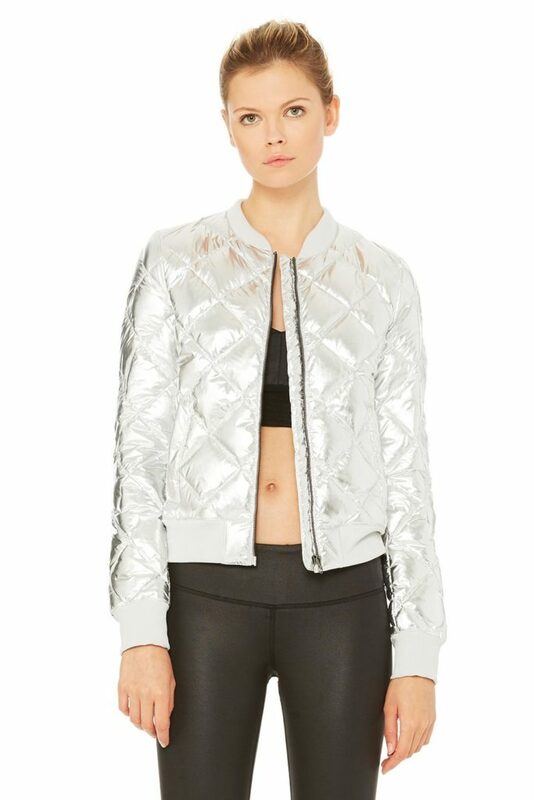 Practice any time of the year with the Reflective Idol Bomber Jacket from Alo Yoga! This comfortable and cozy jacket will be with you through those chilly days and nights as you take your yoga mat anywhere. Who says you can't have athletic wear with style? This bomber jacket does it all with a unique diamond quilted pattern that will leave everyone in your yoga class jealous of your choice. Choose wisely with the Illuminate Bra from Alo Yoga! This is the hardest apparel to choose for yoga because you want to have support and be comfortable. Thankfully, the collection is full of great options, including this stylish bra with a haute high neckline. You'll be sure to mix things up when dressing up for yoga while still being sure that you can seamlessly move around and exercise. Unfortunately, the USA Alo Yoga online store does not currently offer international shipping. However, Big Apple Buddy, your personal shopper, can help you buy products direct from the official USA Alo Yoga online store and ship them to your doorstep, no matter where you are in the world. We offer international shipping to over 110 countries including Australia, Austria, Azerbaijan, Bahrain, Belgium, British Virgin Islands, Brunei, Bulgaria, Canada, Chile, Costa Rica, Croatia, Czech Republic, Denmark, Estonia, Fiji, Finland, France, French Polynesia, Germany, Gibraltar, Greece, Greenland, Hong Kong, Hungary, Iceland, Indonesia, Ireland, Israel, Italy, Japan, Jordan, Kuwait, Latvia, Liechtenstein, Lithuania, Luxembourg, Macau, Malaysia, Maldives, Malta, Marshall Islands, Mauritius, Monaco, the Netherlands, Netherland Antilles, New Zealand, Norway, Oman, Poland, Qatar, Romania, San Marino, Saudi Arabia, Serbia and Montenegro, Seychelles, Singapore, Slovak Republic, Slovenia, Spain, South Africa, St. Lucia, Sweden, Switzerland, Taiwan, Thailand, the UAE, the UK, Vatican City, and Vietnam. If you would like to buy from the USA Alo Yoga online store, simply let us know which items you would like to order (by filling out the form below) and we’ll get back to you with a free international shipping quote within 24 hours!